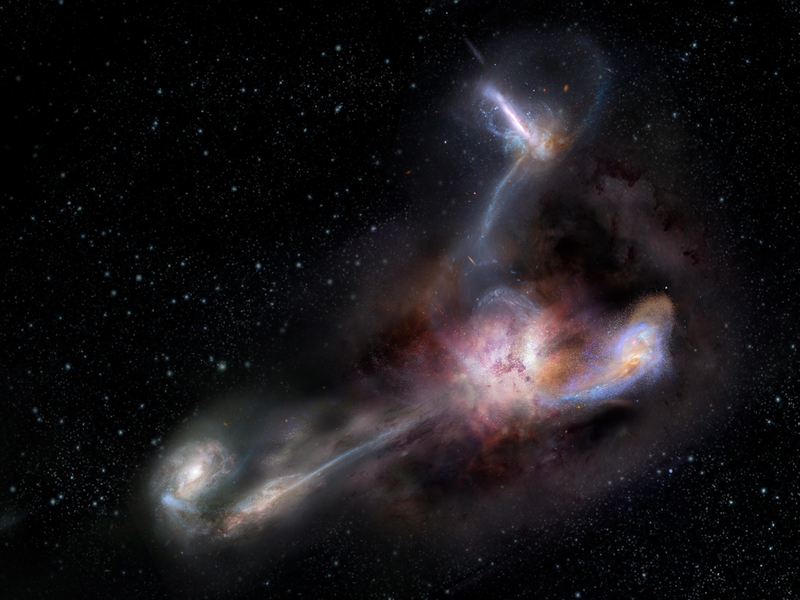 Artist impression of W2246-0526, the most luminous known galaxy, and three companion galaxies. 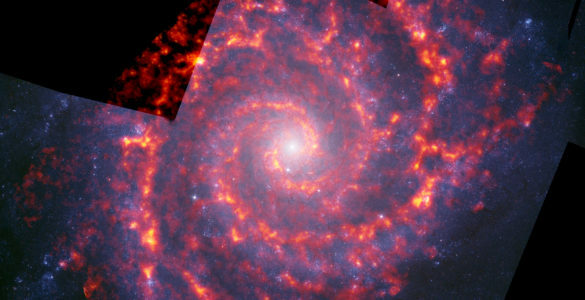 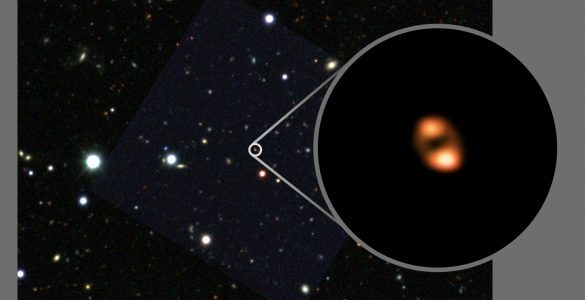 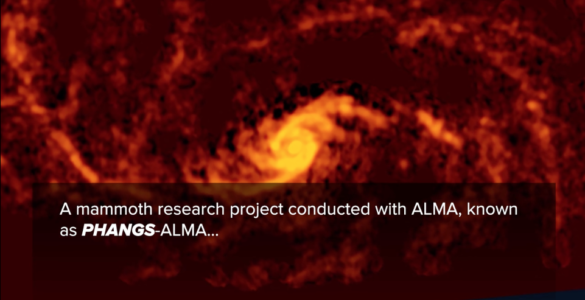 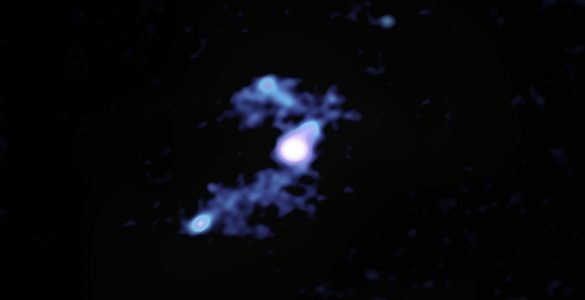 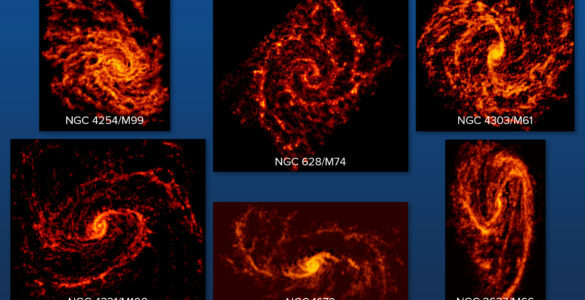 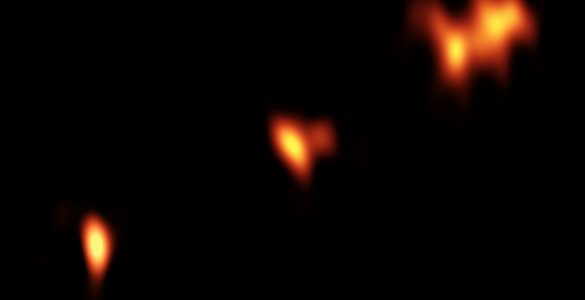 New observations with the Atacama Large Millimeter/submillimeter Array (ALMA) reveal distinct streamers of material being pulled from the three smaller galaxies and flowing into the more massive galaxy, which was discovered in 2015 by NASA’s space-based Wide-field Infrared Survey Explorer (WISE). 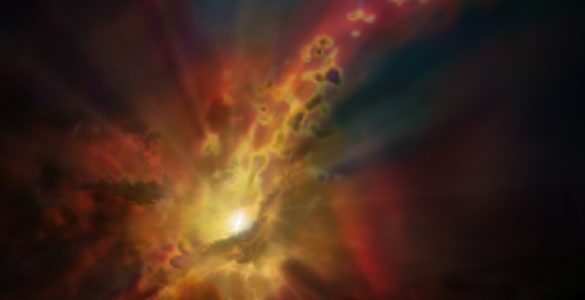 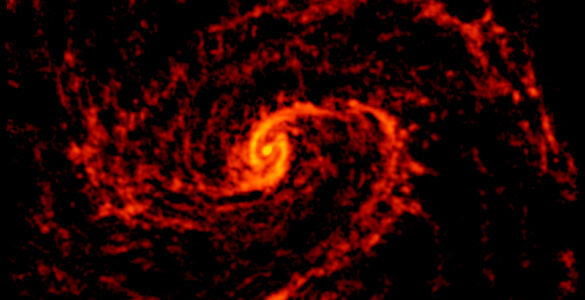 It is by no means the largest or most massive galaxy we know of, but it is unrivaled in its brightness, emitting as much infrared light as 350 trillion Suns.